An Interview with the Team of British Students who Built a Raspberry Pi-Powered Robot Boat @Raspberry_Pi #piday #raspberrypi « Adafruit Industries – Makers, hackers, artists, designers and engineers! Earlier this week, Linuxuser interviewed the Aber SailBot team. The team, made up of a group of British students, built a raspberry-pi powered robot sailboat that has competed in both the US and Ireland. Read more about the project on the team’s own page here! What made you choose the Raspberry Pi as a way to power your SailBot? LT: We needed some sort of brains for the boat and it needed to be somewhat low- powered, somewhat compact enough to fit inside the boat. We wanted to have the freedom to choose pretty much any language we wanted and obviously the Raspberry Pi lets us do that because it’s running a full Linux operating system. It meant we could develop software on our Linux laptops, debug it on the laptops and then just put it on the Pi and it would work instantly. Essentially we wanted something that would run on Linux. DC: We already know how to use it, so it saved us from having to learn anything that’s particularly new. 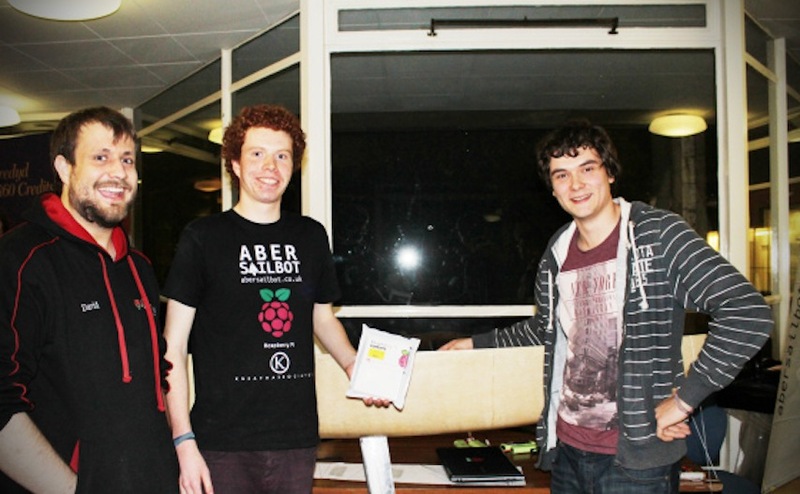 Had you used the Raspberry Pi in any projects before the Aber SailBot? LT: I had. I’ve also used the BeableBone and the BeagleBoard, which are both considerably more expensive than the Pi. 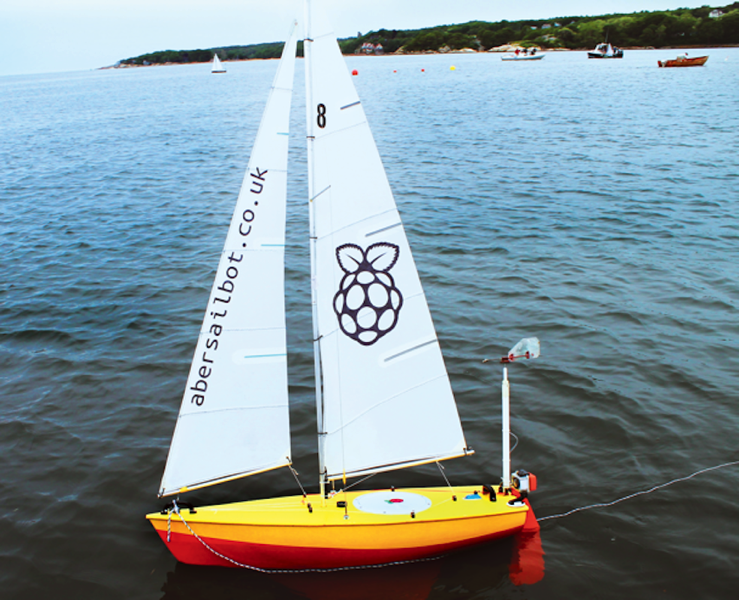 The Raspberry Pi Foundation is one of the sponsors for the SailBot, how did that come about?